A street performer plays the drums on Sixth Street on Tuesday evening. Over the course of this week, we'll be live-blogging South By Southwest — the good, the bad and the outrageously hip and sweaty. Follow Daily Texan reporters, photographers and editors as we post the highlights of our work here. For minute-to-minute coverage of the best and the worst that SXSW has to offer, follow us on Twitter at @thedailytexan. 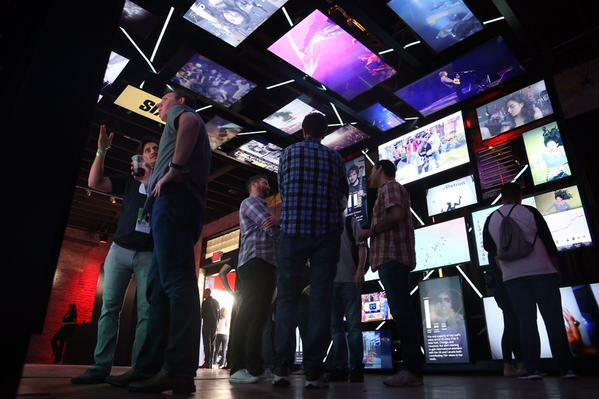 Want a recap of Tuesday at SXSW? Check out our coverage on yesterday's blog. Updated (11:33 p.m.): Our devoted movie critic, Alex Pelham, spent the day with his eyes glued to screens, taking in all that SXSW Film has to offer. Read his reviews and inform yourself, so that you can be a little more selective in your viewing choices. Click here to read his reviews of "Heaven Knows What," "He Never Died" and "The Invitation." If you're interested in cannibalism, dinner parties or heroin, we'll definitely have something for you. If you aren't — well, read it anyway. Updated (7:43 p.m.): A trio of traveling gypsy musicians has made Austin their temporary home this week. With cigarettes dangling loosely from their lips, D.on Darox & The Melody Joy Bakers flooded the corner of 6th and Congress with a type of music they call “dirty gypsy blues.” Click here to read more about the trio's journey to Austin for this year's SXSW. Updated (5:24 p.m.): Folk rock singer-songwriter Laura Marling is Twiggy if Twiggy could play with the ferocity of Alanis Morisette. The British darling performed a seven-song set as a part of Santa Monica radio station KCRW’s Radio Day Stage on Wednesday. Her vocals were flawless, but her stage energy was lacking. 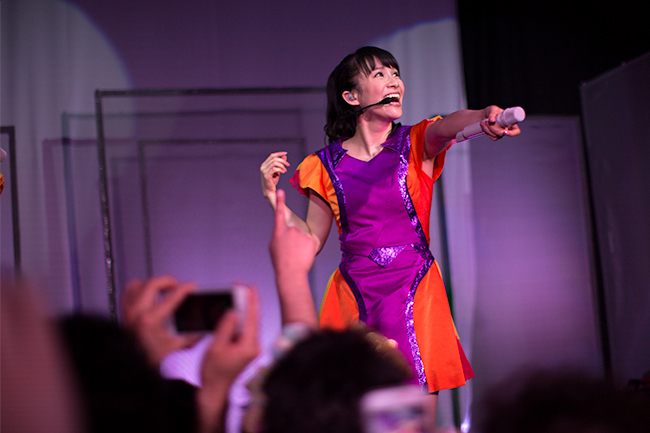 For a full review of her performance, click here. 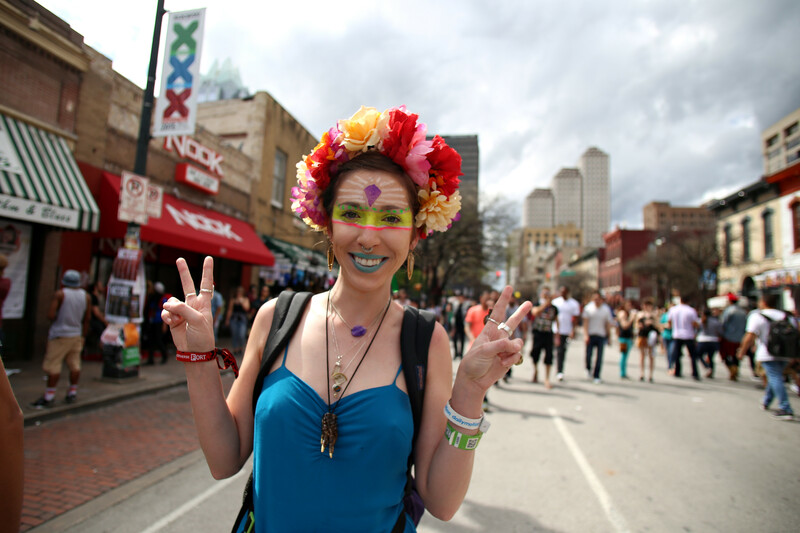 Updated (3:11 p.m.): South By Southwest: the the days are long; the lines are longer. Are you eating? More music means later nights, so make sure you're keeping your stomach happy and your body prepared. Here are six great, nearby options for refueling. Updated (1:40 p.m.): The music portion of South By Southwest is in full swing, so you'll want to make a thoughtful decision about where you'll spend your day. If you'd like to stick with one of the main venues, here are two of your best options — whether you're 21+ or still waiting for that critical birthday. Reminder: Venues will take general admission attendees, but badge and music wristband holders get priority access. NPR Music is hosting tonight’s line up at Stubb’s. The venue, located on the corner of Eighth Street and Red River, is an Austin favorite serving up the best music of the festival. Californian rapper Boogie starts the night off at 8 p.m. followed by Shamir, folk rocker Courtney Barnett, French hip hop artist Stromae and rock and roll band TV on the Radio. If you find yourself hanging around the Rainey Street area, check out Clive Bar. Music begins at 2 p.m. but the show really gets started at 9 p.m. with R&B hippie Elliphant. Punk rock band The Cribs come on at 10 p.m., alt-pop duo Ms Mr come on at 11 p.m., and the night ends with British rockers The Vaccines. 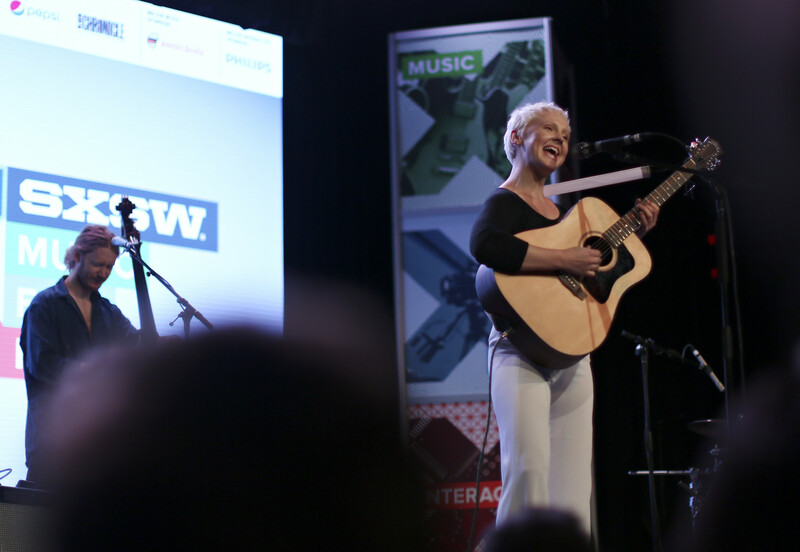 Laura Marling — The folk singer-songwriter from England performs at the Austin Convention Center. 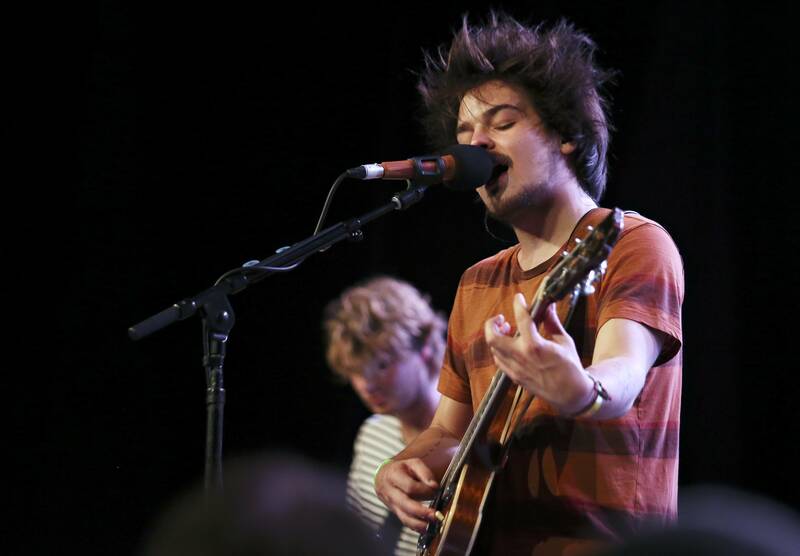 When: 3:00 p.m. – 3:30 p.m.
Milky Chance — The German folk duo Clemens Rehbein and Phillip Dausch perform at the Austin Convention Center. When: 4:00 p.m. – 4:40 p.m.
NPR’s Showcase — Belgian hip-hop and electronic artist Stromae, also known as Paul van Haver, and indie-rocker Courtney Barnett perform at Stubb’s. When: 7:00 p.m. – 1:00 a.m.
Future Islands — The synthpop band from Baltimore performs at Mowhawk. If you’re scared of sunburn, good news: Today will be another warm, cloudy day. Temperatures are set to linger in the low 70s and high 60s through the rest of the day and into the evening. There may be some sporadic rainfall around 5:00 p.m., but it won’t be anything you need to take too seriously. To read a more in-depth forecast for Wednesday, click here. Updated (12:16 p.m.): It's Wednesday, March 18, which means you've officially survived half of South By Southwest. Congratulations! You're officially a pro. But if you're starting to get a little weary, or you need a change of scenery, that's normal too. Get out of Austin, and check out one of these iconic Texas towns to take a break from SXSW. They're all less than two hours away and guaranteed to provide you a nice change of pace.